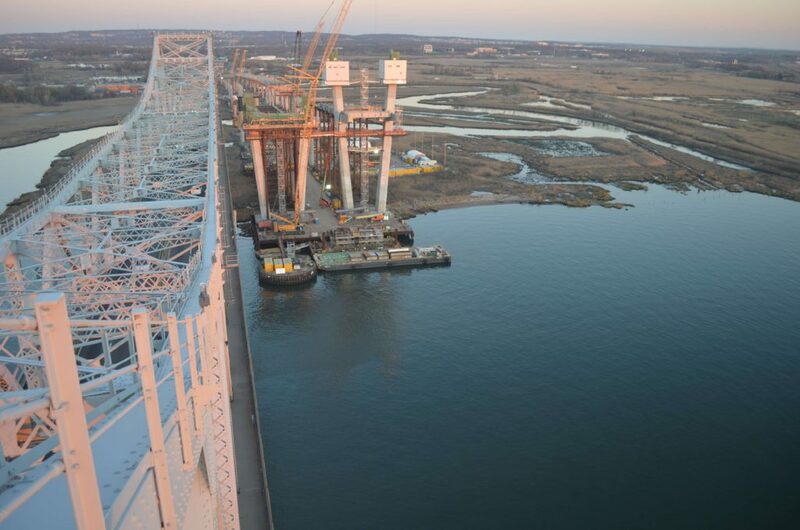 DBA has had the privilege to be the geotechnical/foundation engineer for the Goethals Bridge Replacement (GBR)Project, a design-build project for the Port Authority of New York & New Jersey (PANYNJ). 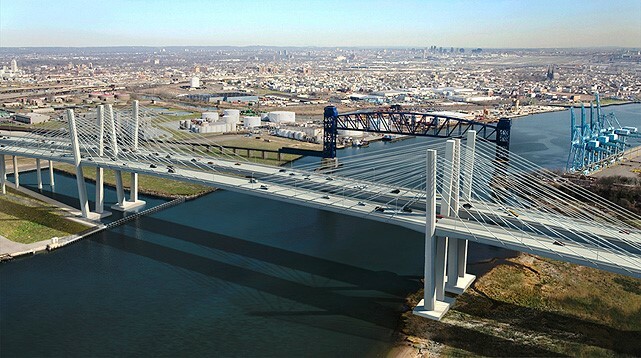 The project will replace the existing Goethals Bridge that was built in the 1920s and carries I-278 over the Arthur Kill River between Elizabeth, New Jersey and Staten Island, New York. Construction of drilled shafts continues as the superstructure begins to emerge over the skyline between Elizabeth, NJ and Staten Island, NY. The new bridge will be a dual-span 1,983-ft long cable-stayed bridge with approach spans of over 2,500 ft on each side. 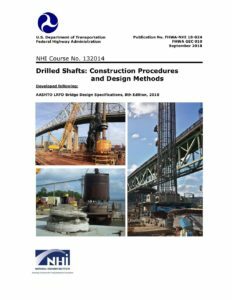 The bridge is supported on over 200 drilled shaft foundations ranging in diameter from 4.5 ft to 10 ft and socketed into Passaic Formation siltstone. 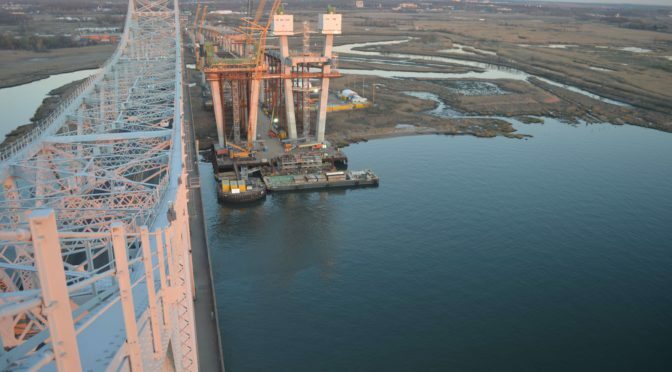 The GBR is a Public-Private Partnership (P3) that represents a major milestone for the PANYNJ in its distinguished history of bridge building in the greater New York City metropolitan area. The existing Goethals Bridge along with the Outerbridge Crossing and the Bayonne Bridge comprise the three Port Authority bridges connecting Staten Island with New Jersey. The Goethals Bridge and the Outerbridge Crossing are cantilever truss structures and both opened on the same day in 1928. They were designed by J.A.L. Waddell under the supervision of the eminent engineer Othmar H. Ammann (1879-1965), who was the designer of many other iconic bridges in the NY City area including the Bayonne Bridge (1931), the George Washington Bridge (1931), and the Verrazano Narrows Bridge (1964). The designer of record for the replacement Goethals Bridge is Parsons Corporation, which is the successor firm of Robinson & Steinman, whose principal David B. Steinman was also a notable NY area bridge designer and a contemporary and rival of O.H. Ammann. Each main pylon tower of the GBR is supported on a group of six 9-ft diameter drilled shafts and each anchor pier is supported by two 10-ft diameter shafts. 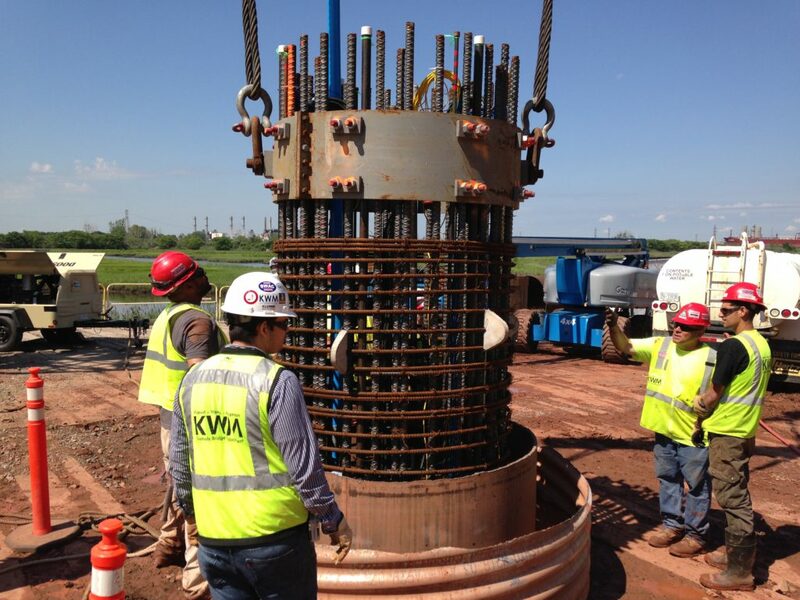 Approach piers are two-column bents with each column supported on a rock-socketed drilled shaft. 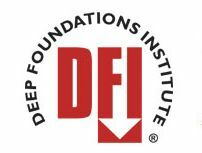 DBA is the foundation design engineer of record and this project provides an example of how rock-socketed drilled shafts can provide a reliable and cost-effective means of supporting a major bridge by taking advantage of the high resistances that can be achieved. Key factors involved in taking advantage of rock sockets for this project were: (1) load testing to demonstrate high axial resistances (>30 ksf side resistance and >300 ksf base resistance), (2) utilization of all relevant construction QC/QA tools to ensure that rock sockets are constructed in a manner that is consistent with construction of the load-tested shafts that provide the basis of the design, (3) close collaboration between all members of the design-build team, and (4) adequate subsurface characterization, especially a thorough characterization of rock characteristics and their effect on socket resistances. 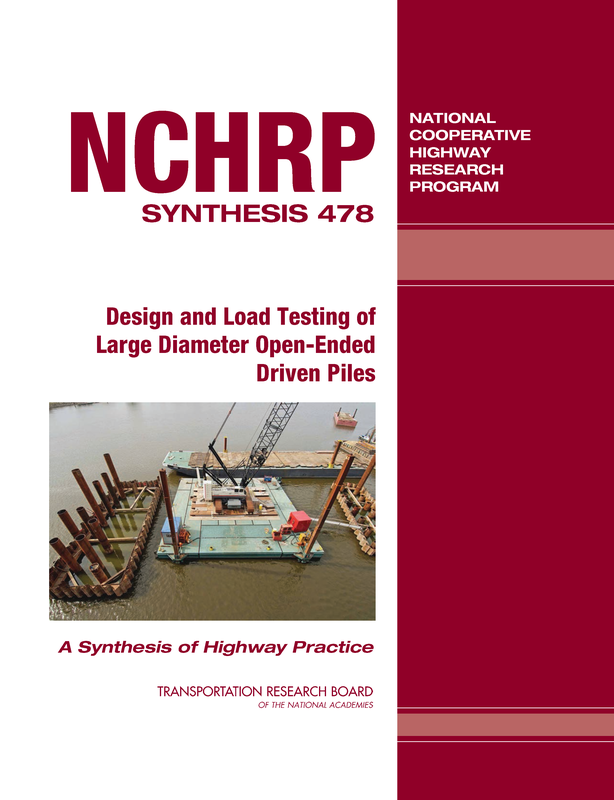 Load testing for this project demonstrates that side and base resistances can be used in combination to design rock socketed shafts for axial loading. 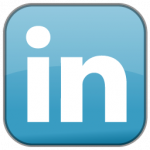 This approach avoids the use of unnecessarily deep sockets, thereby minimizing the associated construction risks and costs.